Once a month The Organic Bunny Box delivers non-toxic, natural, and organic beauty products conveniently to your door. Each box contains 6-8 products in medium to full sizes, some smaller samples may be included as extra goodies. We are not fans of small samples so rest assured, the items in this box will be big enough to provide you with the full product experience! All products are Cruelty-Free, over 98% Natural, always Non-Toxic and made with Organic ingredients as frequently as possible. I will always try to provide an amazing mix of items, including but not limited to: Natural makeup, perfume, skin and body care, with occasional healthy treats and eco-friendly products. The Cost: $59.00/month with free shipping. The Products: 6-8 medium or full sized non-toxic, natural, and organic beauty products. 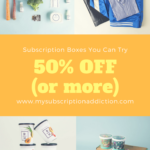 In addition to the already cute exterior box, you get a really nicely designed and sturdy reusable gift box each month that houses all of your organic goodies. It seems to change every season or so since last month (as well as the one before) had a more summery theme. First of all, this is a really good size container. This lightly scented powder is gentle and can be used as a dry shampoo or deodorizer in places on our body that get a little too damp- like underarms or your feet come summertime (or any time, for me). I really enjoy the grapefruit bergamot scent and it also contains activated charcoal which has been all the rage lately in self-care products. Just in time for winter chapping weather, this cuticle creme comes to my rescue. I’ve been noticing how dry my cuticles I get when I’m at the nail salon and would you believe I don’t have anything to deal with it? I have to say that I rather like this cream instead of an oil because I find it a little less messy. This is a nice size portion and I only need to skim the top for enough to smooth into each hand, around each fingertip. The cream is a perfect light consistency and has a really subtle honey, tangerine, lime, and cinnamon smell to it that I find really pleasant. I’ve been using it daily and am loving the results. It took me a few days to try this one because I was afraid of the words “golden glow” and thought this may be tinted in some way. It’s not at all and once I actually put it on my face last night I was really impressed with how incredibly soft and dewy it left my skin! I’ve been using facial oils with additional moisturizer after cleansing but this one has now jumped to the top of my beauty queue to replace my evening moisturizer! Simply amazing! I really like getting room sprays in boxes, especially when they are palo santo based! This spray is made with all natural essential oils like cypress, cabreuva, and cedarwood in addition to the palo santo. I am of course in love with the packaging for this with it’s all white glass bottle and minimal green lettering. It smells wonderful and really turns any space into a whole new experience with woodsy wonder. I’m not really one to care about stretch marks on my body anymore. I’m human, I have skin that changes, they are there. For those who aren’t loving theirs, this oil exists. The bottle specific calls out “for pregnant belly” though I’m sure it can be used in any place. I’ve never been pregnant but some women may want to reduce the marks they acquired while carrying a human life for nine months so more power to them! I like that the cap is a dropper that can be used to administer the desired amount of oil and as you can see, it’s a light golden color like many natural oils. It smells really nice due to the essential oils included as well. Here’s the complete list: Cocus Nucifera (Coconut) oil, Argania Spinosa (Argan) kernel oil, Hippophae Rhamnoides (Sea Buckthorn) oil, Persea Gratissima (Avocado) oil, Vitamin E, Rosa Damascena (Rose Otto) essential oil, Lavandula Angustifolia (Lavender) oil, Citrus Reticulata (Tangerine) essential oil. I’ll probably be passing this one on to someone else though as I don’t feel the need to add it to my daily routine. Beefing up my natural makeup products is something I’m slowly doing and I love this deep plum color in the tube but am just not feeling it on me. The formula almost feels too “slippery” (for lack of a better word) and doesn’t have much staying power, so I don’t think it’d last through a meal or even a drink. I also have a great love of matte lipsticks and this one is really hydrating and thus shiny. It’s a bummer though because it has a cool magnetic closure case and smells like grape! Verdict: The Organic Bunny Box this month had some hits and misses for me. Overall, I think the value is amazing since I got 8 items worth over $180.00 for a $59.00 with free shipping. Almost all of the products were new brands for me which is exciting to see and I found a couple of new faves like the Uliv facial souffle and Honey Girl Organics Cuticle and Nail Creme. Can you still get this box if you sign up today? Unfortunately, no. Sign up today to get the November box. Value Breakdown: At $59.00 for this box, you are paying only $7.38 per item! 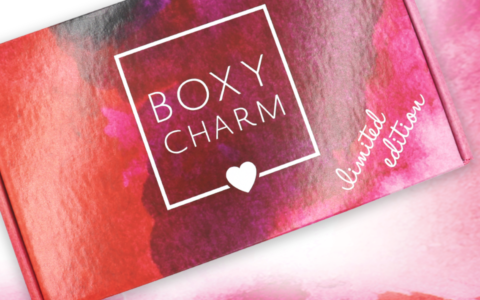 Check out all of our Organic Bunny Box reviews and find other natural beauty boxes in the Beauty Subscription List! What do you think of this month’s Organic Bunny Box? How do subscribers rate The Organic Bunny Box? Do you subscribe to The Organic Bunny Box? Add your rating now! Consider using the stretch mark oil as a general body oil/moisturizer and/or bath oil. The ingredients are the same as those items and besides, passing it along won’t cure anyone’s stretch marks anyhow. As for that lipstick, don’t give up on it just yet, come Jan/Feb the air might be so dry that your lips might like a moisturizing color once or twice. Great review, I’ve got about 30 boxes at the moment but I’m gonna keep my eye on this! Good tips, Taren! Thank you! This seems like a great box, thank you for reviewing it. I’m on box overload right now, but maybe after the holidays I can cut out a couple others and try this in their place. For the Palo Santo spray it looks like the back of the bottle has a small 1oz on it and the website says 8oz for the full size. So $4.75 estimated value. That scent combo sounds heavenly! This is a great box. I wish it was quarterly. $59 is a bit high for me to bite monthly but I am debating.. I was JUST about to say I wish this was quarterly, lol. Ack! It’s so obvious on the back there now that you’ve pointed it out… Thanks for mentioning!